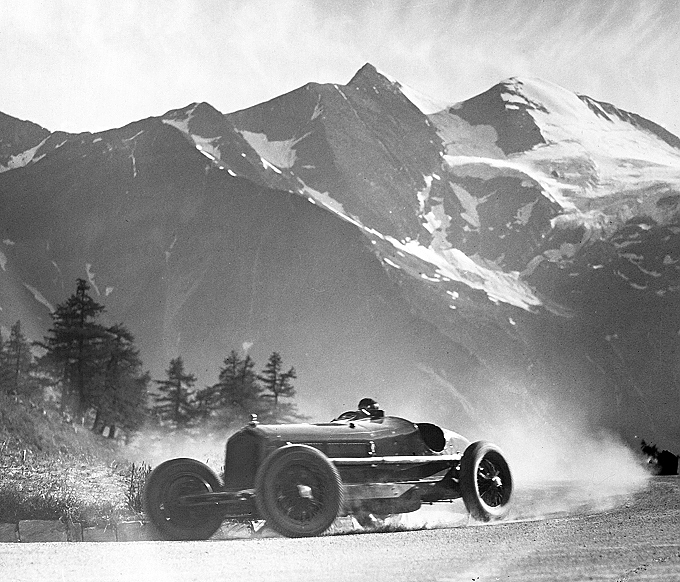 Whatever the driver sees from his car on the highways of Europe has always been the subject of concern for designers. Obviously the place and shape of road signs is decided after careful consideration about visibility on high speed approach. Beyond that there is the attempt at a selection of what is visible in between the road signals, beyond the lines on the tarmac. The design of the parapets of a bridge over a river is a trade-off between road safety and the view of a beautiful landscape. And then there are the designations of what is a scenic view, not just for a specific point but on a whole stretch of a road – the green lines indicating a ‘parcours pittoresque’ on the Michelin maps may serve as evidence. Carchitecture started with cars. 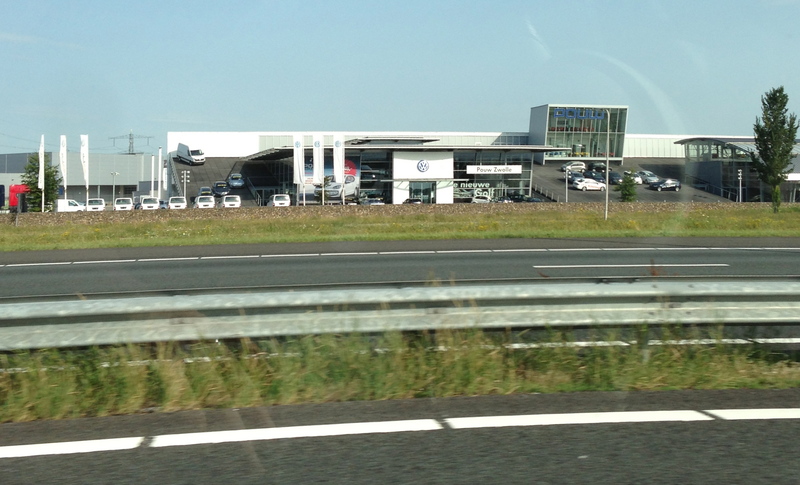 It was with the car dealerships that the awareness dawned that, with these businesses typically being on the fringe of town, the traffic jams, that other typical phenomenon on the approach of a city, could turn into a slow moving line of window shoppers. 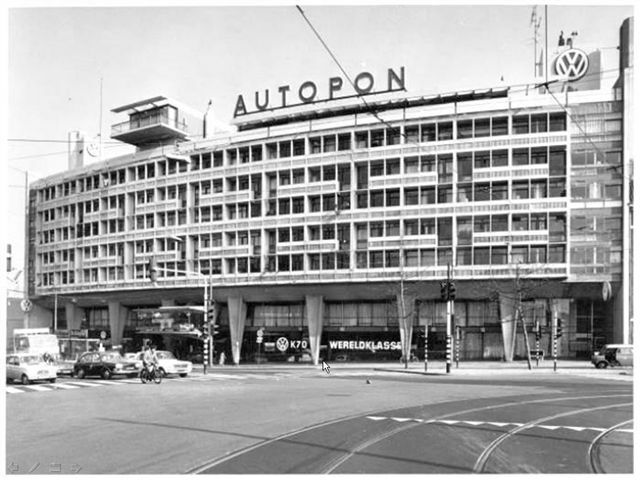 The oldest occurrence that I can think of now, of a businessman realizing the potential of his location on top of the road, is this well known building in Amsterdam. It was finished in 1961 after a design of Ingwersen and De Geus (and I am pleased to reveal that my father was involved in the design for this project). The building is a rather surprising appearance, on the border of old Amsterdam, of design elements of the ‘Unité’ that Le Corbusier built in Marseille, but with the addition of a typical Carchitecture element: the dramatic ‘hand’ cradling the latest model car. In the seventies car dealers moved to the fringe of town. The buildings that had locations next to the highway evolved from the simple sheds that contained the showroom into true shopwindows that gave out on the road – not the access road but the highway at the back of the building. A new type was born. 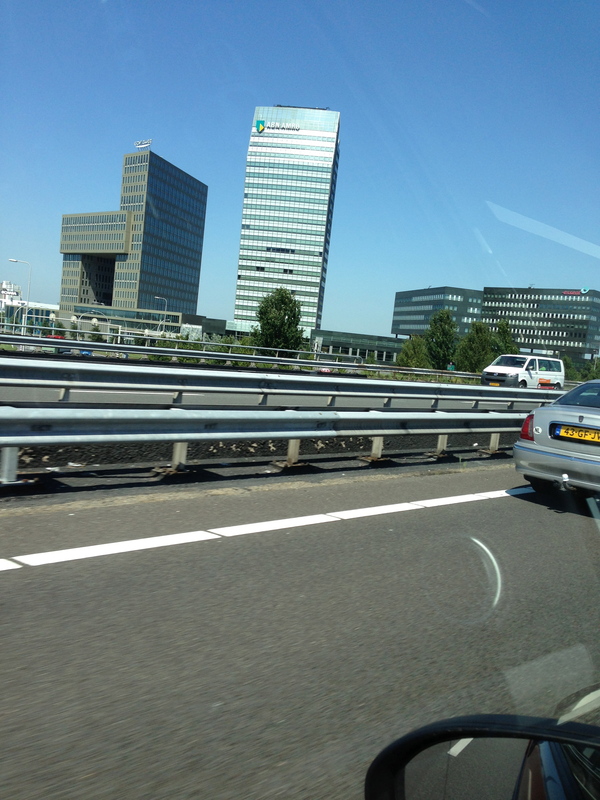 The highway became an attractive location for office buildings when Holland changed into a commuter country. The inner cities of Dutch cities were closed off increasingly from car traffic when the post war projects for wide car friendly city streets were aborted and reversed. Since accessibility by car was perceived indispensable for business the new locations for office buildings moved to outside the city. The proximity of the highway was initially no incentive for a dedicated kind of design. The moving principle for office design came from the internal functioning of the building and the successive schools of thought about the optimum lay-out for work places. However, near the end of the eighties here and there a building emerged that had a design that took the view from the highway into account. The building pictured here is of a recent date, but it is an example of how a need for gesturing came about to emphasize the location on the road. This is what Carchitecture is about. 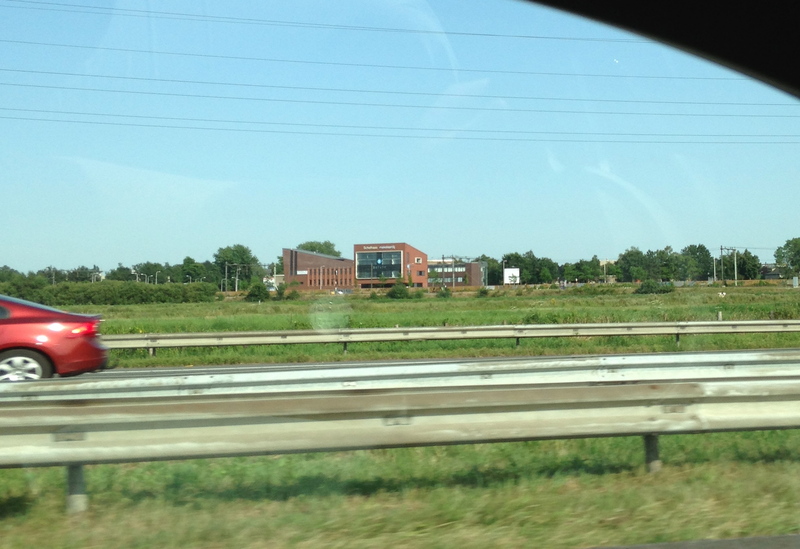 Not all buildings on top of the road follow the rules of Carchitecture design. 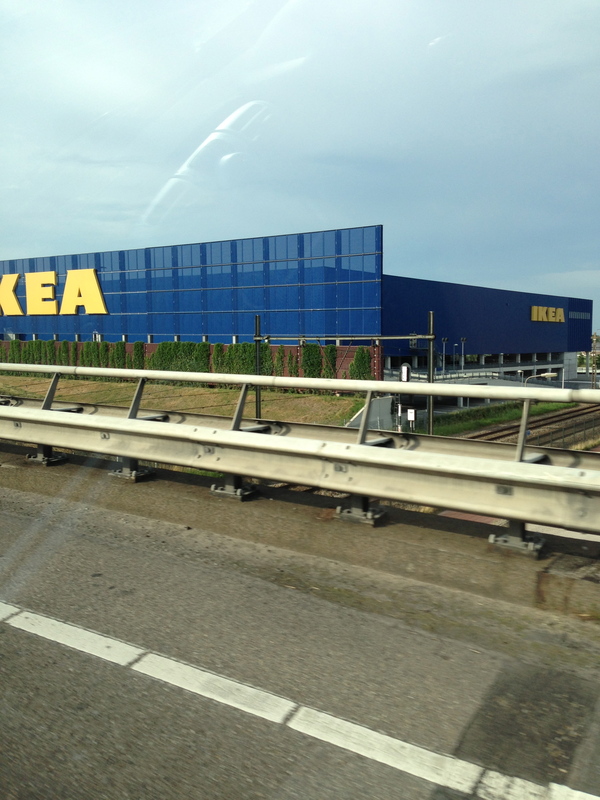 Following Venturi’s famous typology, this building for IKEA should be called a ‘decorated shed’. However, Carchitecture is not a decorated shed – it would be closer to what Venturi would call a ‘duck’. The buildings that would be grouped under this name and Carchitecture don’t completely share the same characteristics though. 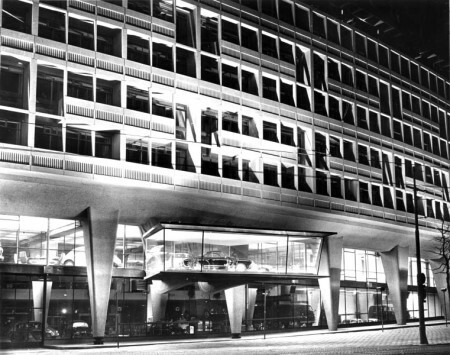 Carchitecture has evolved into a whole array of building forms. It’s a necessary development, because the Dutch highways change, and new demands provoke new insights with the road designers. 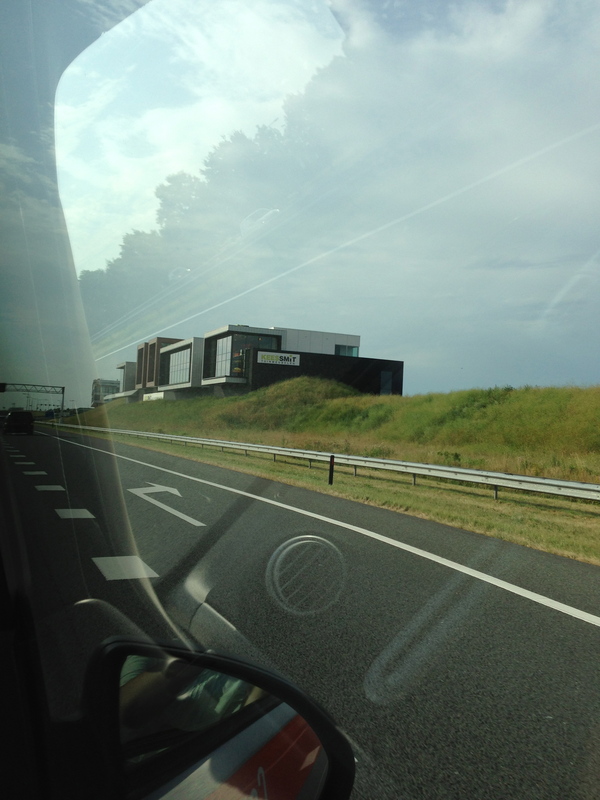 Here is an example in which the necessary noise barrier – that usually blocks the view from the highway – is meshed with the needs of Carchitecture. The building depicted below shows how the influence of the highway can extend to quite a distance from the actual axis of the road. It shows the character of the Dutch highways as a ‘mycelium’ – an organism of its own, of which Carchitecture is its spontaneous fruit. I would like to develop an Atlas of this fascinating set of building shapes. Carchitecture has its own typology and spatial system – for instance, there is a typical way of how the actual access to the building is combined with the demands of the highway location. This blog post is not the place to give the whole story, but I hope to come back to it in the future. This entry was posted in architecture and tagged architecture, carchitecture on December 28, 2013 by Reine. Very interesting! I wish there were more on the subject, a book for instance . . .